I grew up in the times (already feeling like a decade old) when there were just one or two brands for Facewash in India. I am able to recall only Ponds. (Do you know any other names?) The other ones were Dove Cream soap or Pears which were actually substitutes to Facewash. I am referring to late 90’s. Ponds use to come in white and baby pink color combination tube. A small tube of Ponds Facewash was of Rupees 35. The Facewash used to be foaming one and very less quantity. 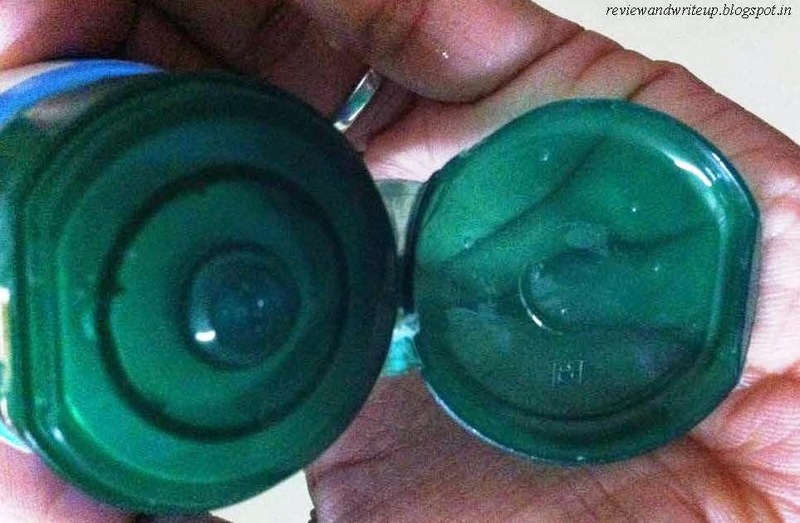 After 5-6 times use only air will come out not liquid soap. Don’t you think Ponds had monopoly? (Ssshhh don’t tell anyone) It used to last for maximum 10-12 wash. My mom used to be very angry with me for spending so much on Facewash. It was very difficult to convince lot of people why Facewash is better than soap. I remember one of my aunt suggesting me (Lux soap use karle, kya facewash ke piche padi hai). Commercials were primarily focused on teaching consumers about the product. Well gone are those days. Now Facewash industry has revolutionized in India. Every company is trying to launch their own version. Who knew that Company like Godrej once famous for its Almirah and cupboards will be launching a Facewash one day? I swear I have seen poster ads in Delhi Metro. I haven’t tried it will buy for sure. Amidst of this rain in the market, I chose the one’s which has Neem in it. Neem is my favorite herb. We have a neem tree in our home and whenever I visit my parents, my mom made me eat at least 4-5 leaves. Please don’t even ask me about my Neem eating experience. 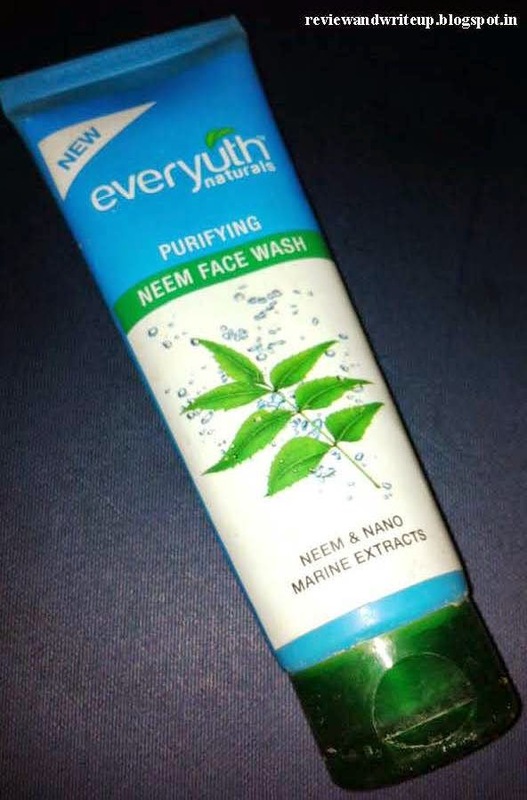 So I was referring to Facewash and over last one year Everyuth Naturals Purifying Neem Face Wash has become my favorite. About the Product – We have known Everyuth for its Apricot scrub, peel off home facial. Now they have ranked themselves in Facewash market as well. Everyuth Naturals is a trademark licensed from Zydus Wellness Ltd. Especially its purifying neem face wash is much in demand. Ingredients – This Facewash is enriched with Neem, tea tree oil, chamomile and nano marine extracts. Packaging – It comes in aqua blue color tube with dark green color cap. Claims by Everyuth – Facewash claims to cleanse pollution affected skin, thereby reducing pimples and blackheads. Also it’s good to fight against bacterial infections. Facewash keeps your skin hydrated. My experience – I have been using this Facewash from last one year. I love its pleasant smell once cap is opened. I apply it all over my face, neck and hands. I use generous portions. Just a little is enough for face. Once washed away it leaves you with soft, supple skin. It doesn’t dry out skin. Keeps skin refreshing during winters as well as summers. Mine is oily skin. In summers it gets worse. Facewash removes excess oil from my skin without drying it. I have experienced with its regular use my skin didn’t get any pimples or blackheads. ReviewAndWriteup recommendation – It’s the best Facewash I have ever used. Go for it. Have you used it so far? If yes what was your experience? Did you like it, not like it. Please share your views in the comments section below.